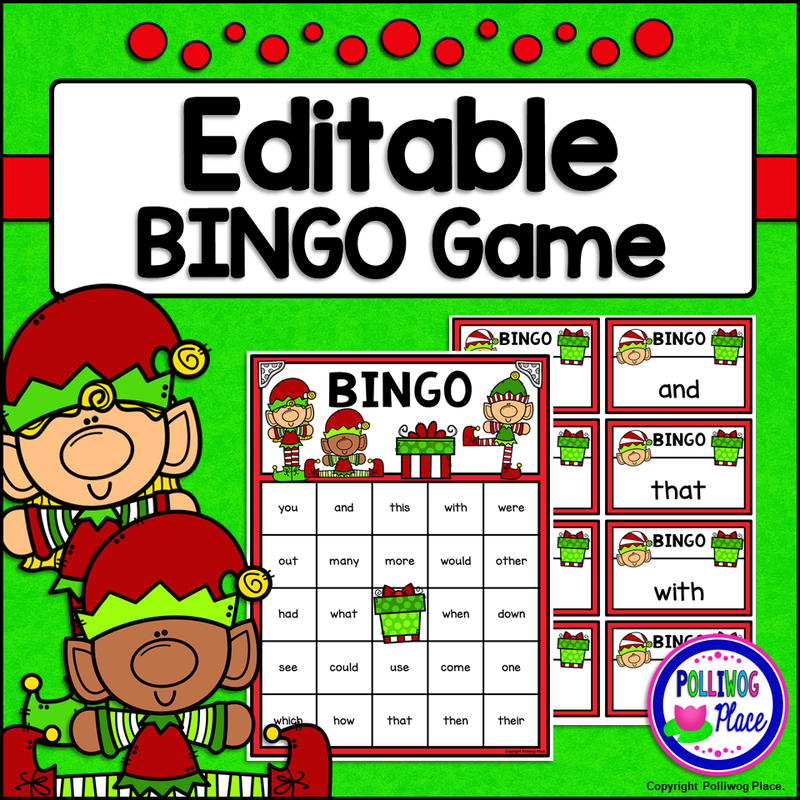 This Christmas Elves Editable Bingo game set is a fun and engaging way for students to practice reading sight words. Do your students love playing bingo? 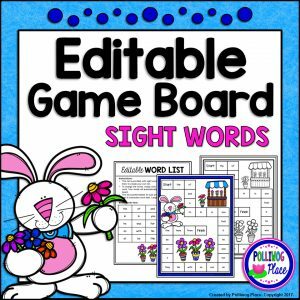 Are you looking for a sight word game that features words your class is currently studying? This editable bingo set is for you! The word list can be completely customized. This bingo game set comes with 48 calling cards and 30 different bingo game boards. 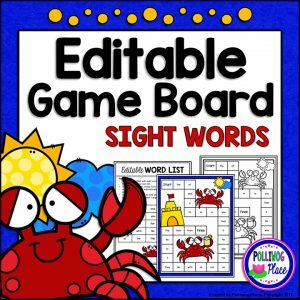 The cards are pre-filled with sight words, but you can easily customize the word list by typing directly on the cards. The new words will automatically appear on the game boards. 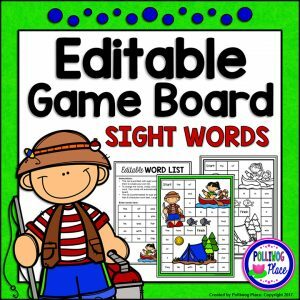 Use your own list of sight words, CVC words, spelling words, vocabulary words, etc. I have even used basic math facts. This is a low-prep activity designed to save you time. Simply print and cut apart the calling cards. Use heavy paper and laminate for durability. The cards and game boards come in both color and black lines. 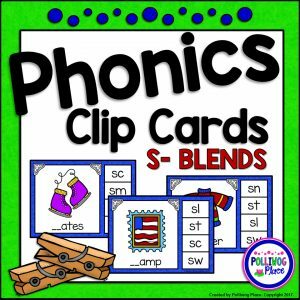 Provide students with chips, counters, or other small manipulatives to cover the words. Students could also write or color directly on the page.